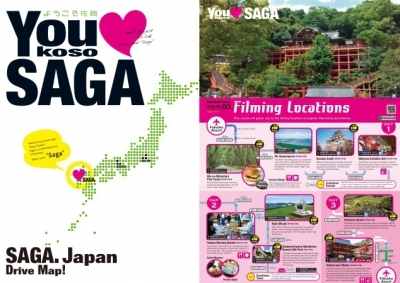 「You ♥ SAGA Drive Guide & Map」 This course will guide you to the filming locations of popular Thai movie and dramas. This 283.6 meter-tall mountain, Mt. 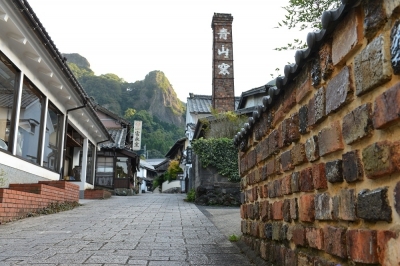 Kagamiyama is known for the mythical tragic love story of Princess Sayo Matsuura. 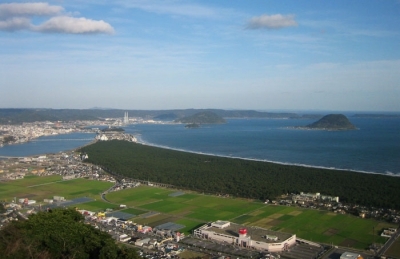 You can enjoy the panoramic view of Niji No Matsubara Pine Groves and the Karatsu Bay from the mountain top observation deck. 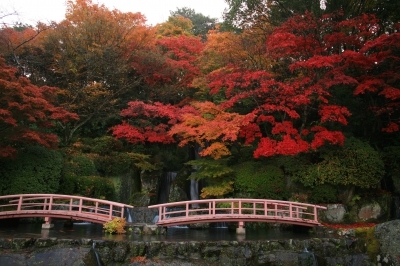 It is also famous as a place to see cherry blossoms and azaleas. In spring, the climbing trail turns into a tunnel of cherry blossoms. 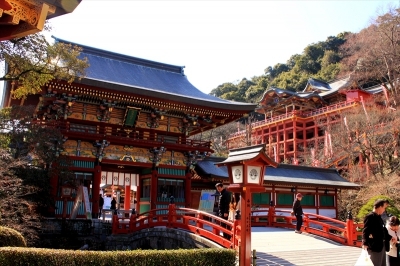 The morning market of Yobuko is counted as one of the three major morning markets in Japan. About 40 street stalls on weekdays and about 60 on weekends and public holidays will be lined up selling fresh and dried seafood, vegetables, fruits and other items. 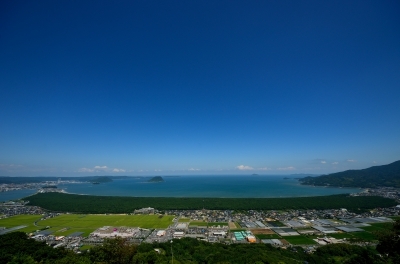 Hado Cape is located in the northeast edge of the Higashi Matsuura Peninsula sticking out into the Genkai Sea. 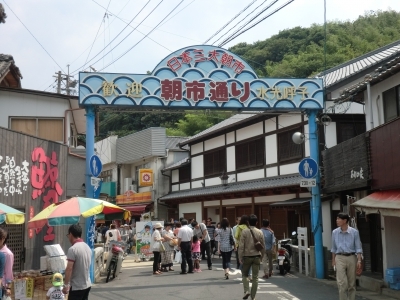 At the finish point of Kyushu Olle Karatsu Course, there are lines of food stalls serving grilled turban shells, "Sazae No Tsuboyaki Baiten." 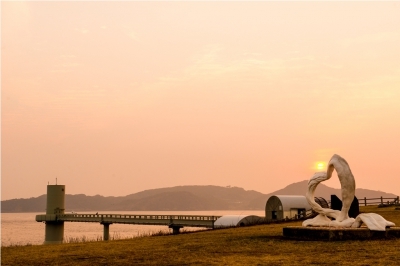 Savor the delicacy from the Genkai Sea. 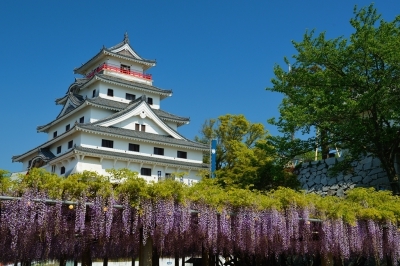 The museum exhibits ancient Chinese potteries based on various themes and the Japanese garden Keishu-en fascinates visitors with its beautiful composition of stones, waterfalls and seasonal flowers in the 2.5-acre garden.